We have a busy week coming up, both for me at work (where I’ll be in the office on Thursday as well, despite usually working from home on Thursdays), and for us at home, as Andrew’s parents are coming to visit and take on the childcare duties whilst Granny Annie takes a well deserved holiday. Before mum went on holiday, she decided to bring over all of her perishables for us to eat, which now means we have about three thousand potatoes to get through over the coming weeks. 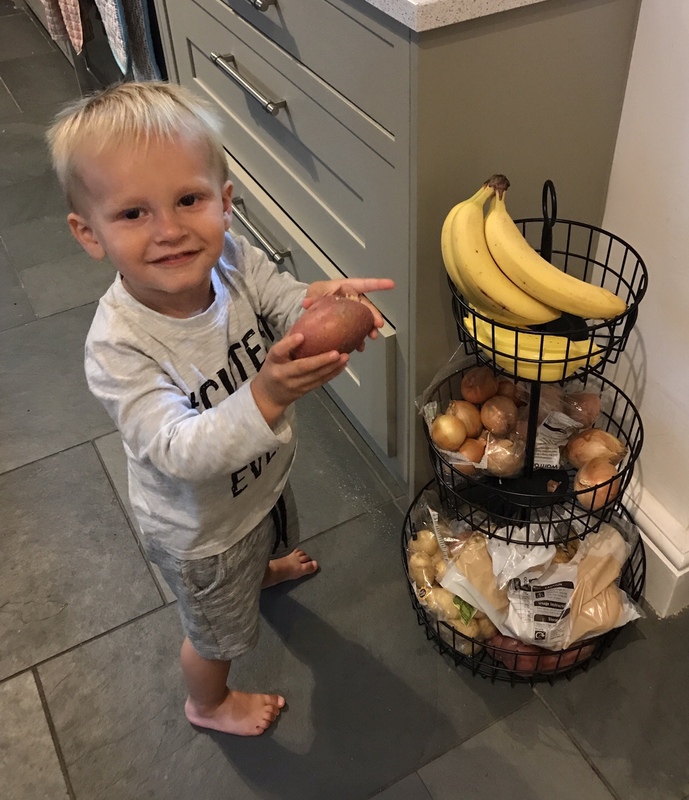 I don’t like to eat potatoes every day – I like a bit of variety in my carbs so usually do a mixture of potatoes, pasta and rice over the week, but there’s no choice this week: we need to plough through those potatoes. Consequently, this week’s menu is very potato-heavy, and frankly it’s just as well there are going to be an extra two mouths to feed! For tonight I have made a cheese, potato and onion pie. 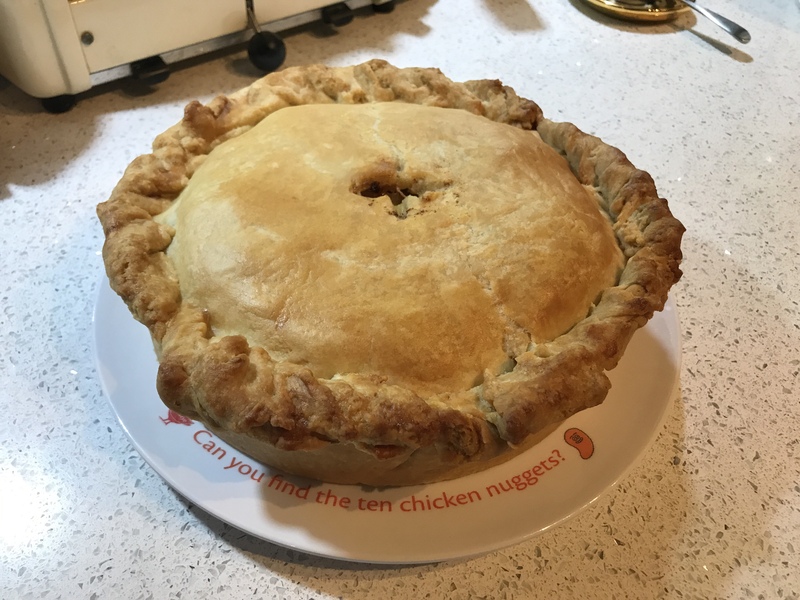 I don’t know if these are really a thing – I have made Simon Hopkinson’s cheese and onion pie before and that is delicious, but there was definitely room for me to squeeze in a few potatoes! 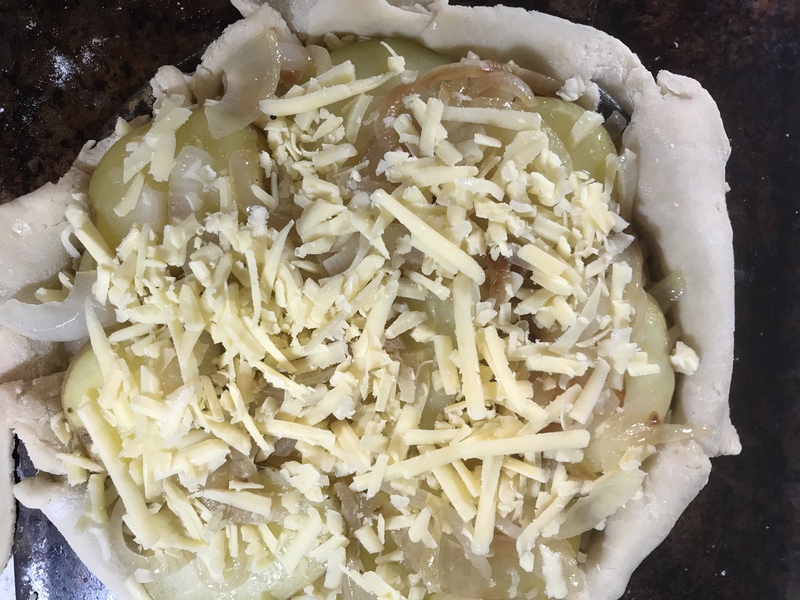 I made my own pastry with a mixture of lard and butter, and then filled the pie with layers of sliced, parboiled potatoes, caramelised onions and grated cheddar cheese. I baked the pie yesterday so it’s ready to eat tonight with some salad when I get home from work. Hope it’s nice! For Tuesday night, when Andrew’s parents arrive, I will be serving cottage pie. 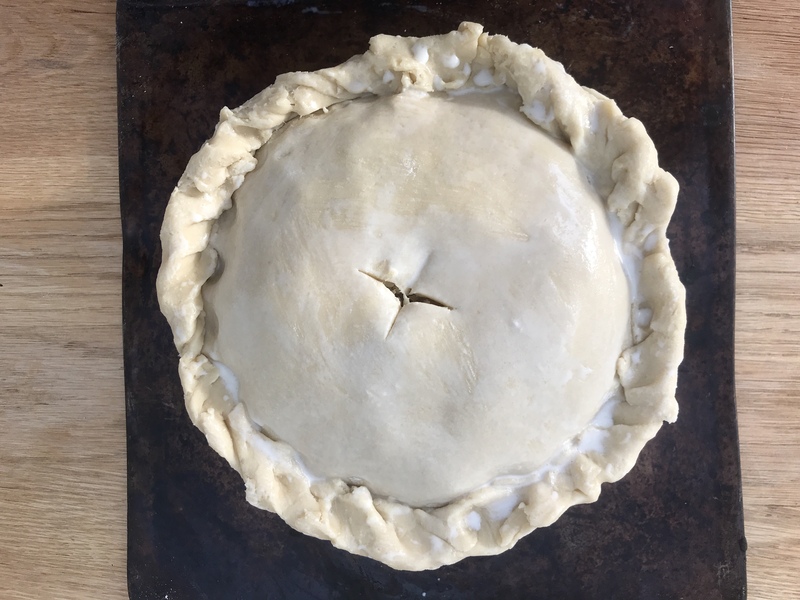 I made the minced beef on Sunday so I’ll just need to freshly boil and mash some potatoes, and bake the pie in the oven for 30 minutes until on the top is golden brown. Ioan tends to love cottage pie (as long as I pick out the lumps of carrots!) so hopefully we will all enjoy it. Wednesday night is Linda’s favourite of baked salmon, served with … roasted garlic potatoes!!! Even I cannot manage four days on the trot of potatoes so on Thursday evening I’ll make meatballs with pasta, as this is another one of Ioan’s favourites. On Friday I’ll have a night off cooking as Andrew’s dad loves rock fish, which he can never get in Wales, so we’re going to have fish and chips from the takeaway (probably Toffs, which is fabulous). Not sure what we’ve got planned for the weekend, so I haven’t decided on the menu. If we’re not out and about then we’ll definitely have a roast dinner on Sunday with … roast potatoes! Any recommendations for other potato dishes I could make?